This has been a weird summer for freestyle. I don’t know if I’m just imagining it, but it feels both like very little has happened compared to the usual flurry of freestyle antics at this time of year – and that there’s a million and one things about to happen. It’s almost like we’re in the eye of the storm, and a slew of tiny skateboards and shinpads are about to rain down upon our heads any second. At any rate, let’s deal with the stuff that’s already happened and the bits and pieces I’m actually allowed to talk about. Okay, we start this report with some BIG NEWS. The will they/won’t they saga of the World Championship in Japan is now settled: it’s going to be held at the shopping mall in Saitama where the JFSA usually hold the All Japan Pro on the 3rd and 4th of November, making this a brilliant way of capping off a huge year for freestyle. Toshiaki Fujii hasn’t given me solid details on the format yet, but if it’s a true WFSA sanctioned World Championship, it has to be the classic two runs, each being two minutes long – so find some run music, get practicing and I’ll see you in Japan! I think Never Enough might be in an intentional battle with Decomposed to feature in this section more than anyone else. 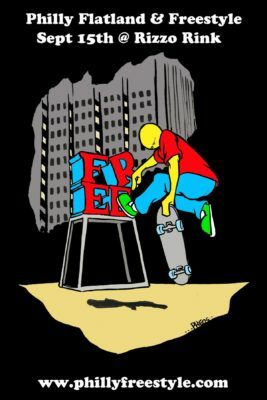 This month they’re bringing out a new deck as a tribute to the “retired” Albert Kuncz, who rode for them in the late 2000s (or early 2010s? My grasp on time is slipping as I get older). I gather he basically put the board away due to a back problem – that seems to be a recurring issue in the freestyle community. All these fingerflips, pogos and handstands just ruin you. It’s a crying shame, because he was bloody good; hopefully one day he’ll heal up and find his way back to us. Until then, there’s always the Never Enough tribute boards. Hopefully they’ll be available from the Never Enough website by the time you read this. Speaking of Never Enough, they continue to be the biggest single source of freestyle related goodness in Europe. They’re now stocking the new Moonshine/Speedlab collab wheels, even more new Cirus boards and graphics, and a solid range of freestyle completes ready to go out of the box, including three different Marius Constantin pro models. Impressive stuff. 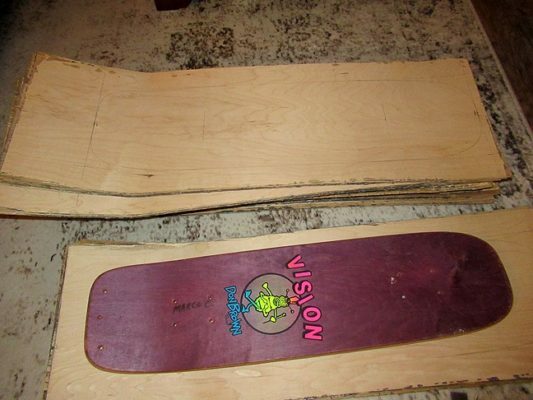 Not to be outdone, Witter tells me that the next Decomposed deck will be a limited edition Don Brown model based on his last Vision pro model… which never made it past the prototype stage. 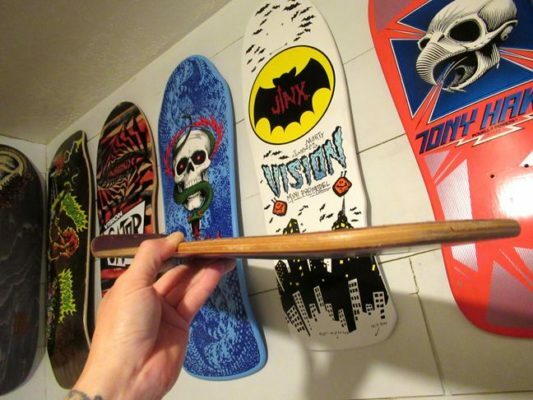 Coming in at 7.875″ by 29.5″, this is a big brute of a board, and will be cut from the Vision Psycho Stix mould which was going to be used for the original release. Is it one to skate? Probably not. Is it a curiosity worth grabbing while you can? Almost certainly. In other Decomposed news, Witter has been teasing me about some fabled 80s reissue that he’s been working on for almost a year. He keeps bringing it up, but refuses to give me any hard details. Will it appear this month? Will it be delayed for another year? At this point, all bets are off. As their big new products still aren’t ready, we’ve just got something minor from the folks over at Mode Skateboards for now. Connor Burke and Terry Synnott both wanted a thinner skid plate for different reasons; Terry to put on the nose for better fingerflips, Connor (presumably) for his tail for better pop on his ollies. And as Terry is prone to do, he got the material and made them in his garage himself. Mode might not have the punkest image but it’s definitely got the DIY credentials. Anyway, if you’re in the market for skids (as you damn well should be), you can now get both Mode skid plate sizes in the original 3/8″ thickness and the new 1/4″ thinness from their website. Tell Terry I said hi. 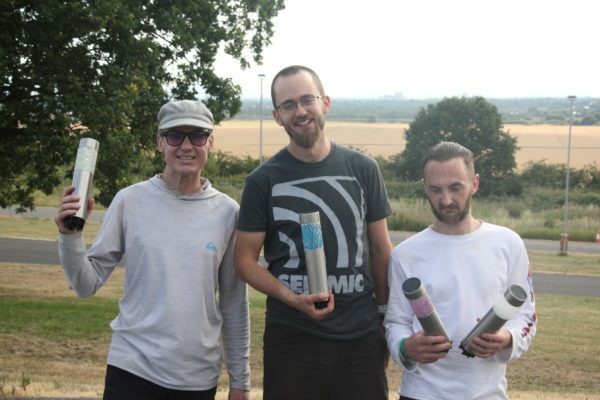 Tradition dictates that British freestylers have to gather on a hilltop around this time of year and be very silly for a sunny afternoon, and who are we to argue against tradition? That’s right, I’m talking about the annual UK Round Up, the most serious joke in the freestyle world. Held as part of the UKSSA and London Longboards‘ Hog Hill events, the UK Round Up is now in its fourth year of nonsense and chicanery, and keeps going from strength to strength. This year Lillis came back over to attempt to take my crown (spoiler alert: he failed again), and a group of fresh-faced British freestylers lost their event virginity while being forced to skate to terrible music from a tiny speaker. “Trophies” presented by ASDA’s garden section. Denham looks suitably unimpressed with his. Yep, that’s an all-Moonshine podium right there. And considering Denham Hill took the win in the very special and prestigious Offline Instagram Grand Slam Classic, I’d say there’s some very happy folks over at Moonshine HQ right now. Also of note is the winner of the special Spirit of the UK Round Up award, Reece Archibald. Keep on being awesome, Reece. Over in Japan, Mirei Tschida continues to bring glamour to freestyle (or should that be bringing freestyle skateboarding to glamour? I’m not sure which way round this is working) in her fledgling career as a runway model. Maybe she’s been getting tips from her Moonshine team mate Felix Jonsson; Felix’s sashay game is STRONG. If you’re still looking to scratch that contest itch and can’t wait for the will-they-won’t-they situation in Japan to be resolved, remember that the US Championships will be taking place in Philadelphia on the 15th of September. Not a lot in the way of fresh info on this one, but I guess if you’ve been to the Rizzo Rink before, you know what to expect. However, this year there is a $1,000 prize purse, so maybe folks like Connor Burke and Matt Gokey will resurface and head back over there for the first time in a few years. Head over to the competition website for the full details – and maybe jump on a Greyhound now if you’re planning on getting there on the cheap. My ongoing project to enable newcomers to learn the ins and outs of freestyle skateboarding continues. Head over to FreestyleTricktips.com and pick up a trick or two; this month I’ve covered the spacewalk, rolling fingerflips, casper disasters and even managed to enlist my Moonshine teammate Nick Beaulieu for a tip on the Butterflip, so there’s something there for everybody. So who watched the episode of Vice’s Post Radical featuring the World Round Up? If you haven’t seen it yet it’s available over at their website or through various methods of watching and downloading video online with varying levels of legality. Honestly, I wasn’t all that impressed with how well freestyle came out of it (and it looks like I’m not the only one), but as you might expect, there are a lot of folks out there who just seem happy that someone’s paying attention. Personally, I’d rather they left us well alone rather than spend the best part of 45 minutes making us look like a bunch of kooks, but that’s just me. If you’ve just gone off and watched Vice make a joke out of the World Round Up, I’ve got something which will (hopefully) help get that foul taste out of your mouth. It’s the return of the legendary DCMH! For those who don’t know (which is probably the majority reading this), DCMH (otherwise known as Double Chin and Meat Head) are Jari and Vesa Paakkari, two brothers from Finland who were producing high-quality freestyle videos way before anyone else had the inclination or the means to do so. Jari seemingly had the ability to learn basically any trick he saw, and made a real noise in the freestyle contest circuit in the early 2000s. Now he’s back on the freestyle board, he and his brother have started producing videos again, and… well. Watch it below. TRIGGER WARNING: CONTAINS MEMES. ALL THE MEMES. Words cannot express how much sheer joy the return of DCMH has bought to my life. Tony Gale is a British professional freestyle skateboarder and rides for Moonshine Skateboards, Jimmy’z, Seismic and Synopsis Bearings. July has been far too hot for his northern blood, so he’s spent most of this month in a permanent state of drowsiness and wondering whether or not he’s actually a lizard. Maybe David Icke was onto something.